Sometimes CASH is the better gift, but not always. These college students share some things to consider when deciding to give cash or a gift card for a birthday or celebration. The easiest gift card to use is the one that is accepted at the most places. 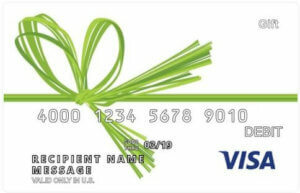 Buy Visa Gift Cards. Which is the Better Gift…Cash or Gift Cards? The question of which gift is better (cash or gift cards) is often as polarizing as debates over the benefits of being a stay-at-home mom versus a working mom, having an iPhone versus an Android or preferring skiing over snowboarding. People have strong opinions on this topic and, judging from the comments I’ve seen on social media, a few conspiracy theories as well. (Yikes.) So while I understand the benefits of each, I quite enjoyed reading about this debate from a college student’s perspective. My guest blogger today is Morgan Firmage. Morgan is one of the BYU Interns I’ve had the pleasure of working with this semester on the BYU Marriott School of Business Experiential Learning Project. She is a recreational therapy major who loves to rock climb and enjoy the outdoors. If you know Morgan personally, then read this post and you will know exactly what to give her for her next birthday! Which is Better to RECEIVE? There are many benefits to cash. First and foremost, there is complete FREEDOM to use your money for whatever you would like. Although, how often do you use that money for practical purchases such as groceries and bills? After talking with friends and family, almost every response was the same. If they were given money, they would more likely spend it on practical purchases to remove guilt. This isn’t necessarily bad, but if you want to give a gift or treat your relatives or friends, cash might not be the best option. When you receive a gift card, on the other hand, you are automatically given the freedom to treat yourself. This gives you the opportunity to feel guilt-free with spending the money towards something fun or rewarding. Which is Better to GIVE? After talking with my roommates on the topic of gift cards, it was almost a unanimous agreement of receiving gift cards over cash if you want to purchase things for yourself, whereas cash is great if you need the help with practical lifestyle purchases. To switch up the sides, I asked my parents along with friend’s parents to gauge whether they enjoy giving gift cards or cash for gifts…unanimously I got the answer of gift cards. For the reason of creating a more personalized gift for the person they were giving it too. One person stated “Gift cards because at least you tried to figure out something that they like. For example, I gave my dad a gift card to a local golf course which showed I took the time to find something locally.” When giving a gift, you want them to feel loved and thought about. 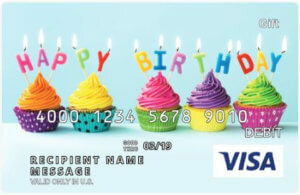 Gift cards give you the opportunity to give a gift catered to the recipient’s interests and wants. Gift cards are truly a great gift when you want the recipient to feel pampered or fulfilled from a fun experience or item they wouldn’t have paid for otherwise. Can be used to save up for something important like a new phone! I was recently given two gifts cards. Both allowed me freedom to spend the gift card where I’d like. While using them, I realized how much fun it was to go out and do things I would not normally do! 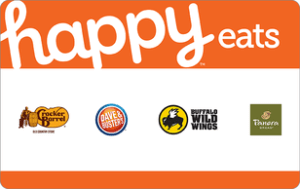 Happy Card Gift Card – First, I received a Happy Card for Students which provides multiple places you can spend your money. 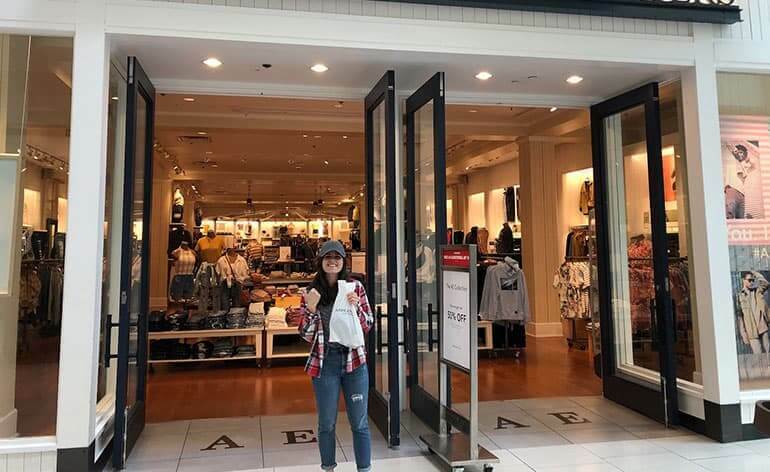 With the Happy Student Gift Card, I went to American Eagle and bought a much-needed pair of jeans I’d been putting off for months. 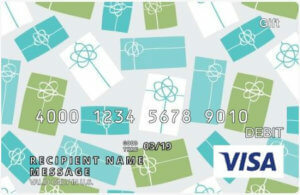 Visa Gift Card – Second, I received a Visa Gift Card which felt like the best of both worlds–I could spend the gift card (guilt-free!) on something fun, but I could also treat the card like cash and use it to buy groceries. 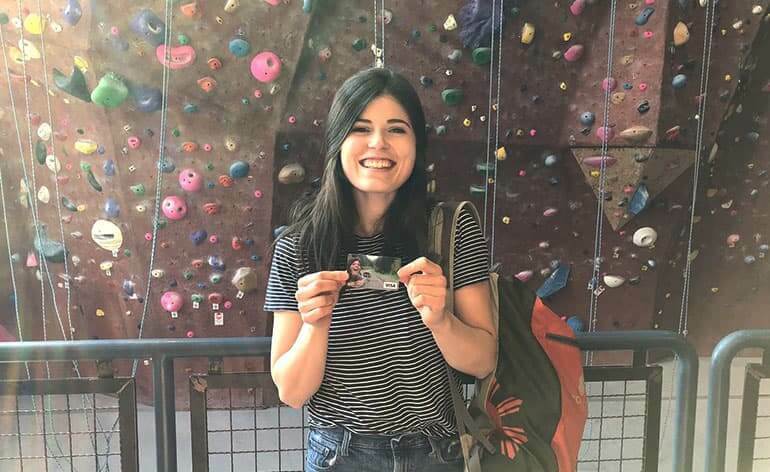 I decided to use my Visa Gift Card to go climbing at a local rock climbing gym. This is something I love to do, but rarely want to spend money doing. With both experiences, I realized what a treat a gift card can be. I left feeling guiltless from my expenditures, refreshed and satisfied. When you get down to the bottom of it, there is no right and wrong answer. The real trick is knowing what the person you are looking for needs or the way they like to shop. Some may always want cash, whereas others need the extra push to treat themselves and a gift card is just the way to do it. Thanks for sending this insight Morgan! I agree completely. The best gift GIVERS are people who take the time to think about what the recipient wants or needs. They consider practical gifts, fanciful gifts, and everything in between. As the “Gift Card Girlfriend,” you would think that I only give gift cards, but that is not the case. While I have certainly gifted hundreds of gift cards over the years, I often give traditional presents, and, on occasion, I give cash as well. It just depends on the type of experience I am hoping the recipient will have. 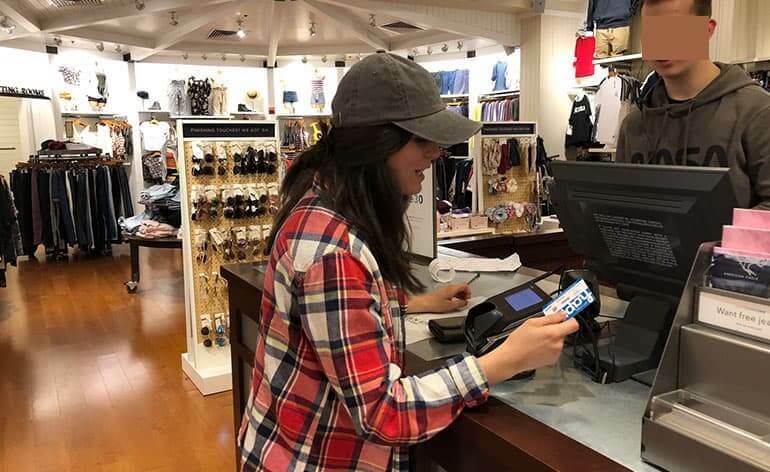 When people ask which is better (gift cards or cash), I point out, as Morgan did, that a gift card provides for unexpected experiences whereas cash can simply be put to good use in a number of ways. (I wouldn’t turn either gift down myself!) However, there is one other point that I think is important to make. Years ago, we labored to be sure recipients would not know how much we spent on their gifts. We asked for gift receipts that didn’t include the price, scraped marked sticker prices off packages and used black markers to scribble out price tags. With gift cards and cash, there’s no hiding how much you spent on the gift. 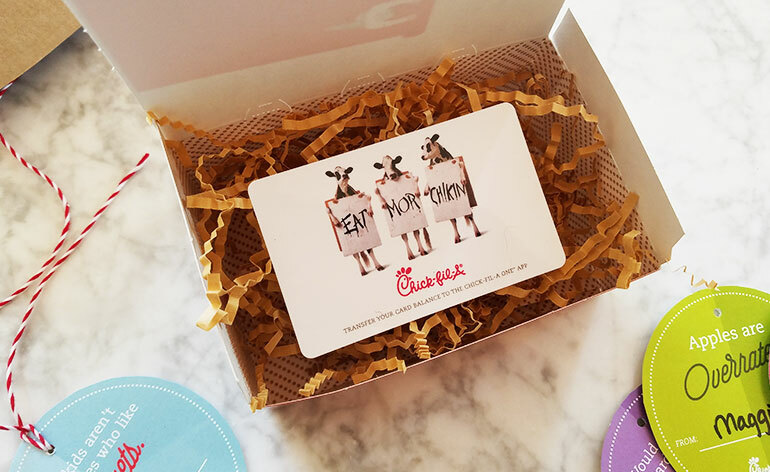 If your budget is tight, then a gift card may be the best choice. Though you might not feel comfortable giving someone a $5 bill for a gift, a $5 Jamba Juice Gift Card or Cold Stone Creamery Gift Card can easily be turned into a thoughtful gift. Deliver it “just because” or pair the gift card with a small item that turns the tiny present into a sweet gesture. For example, you could deliver a Jamba Juice gift card with a basket of oranges picked from a tree in your backyard or deliver a Cold Stone gift card with the words, “You’re so cool!” written on a homemade greeting card. So sometimes the answer to the question of which gift is better–gift card or cash–depends on how much you want to spend. If you need more gift card help or have other questions about gift cards, let me know in the comments below or reach out to me on Twitter (@GCGirlfriend) or Instagram (@Gift.Card.Girlfriend).